Gorgeous golden flowers add fragrance to the mid to late summer garden. Butterflies love them. Florists treasure Oriental lilies for summer bouquets and bridal centerpieces. 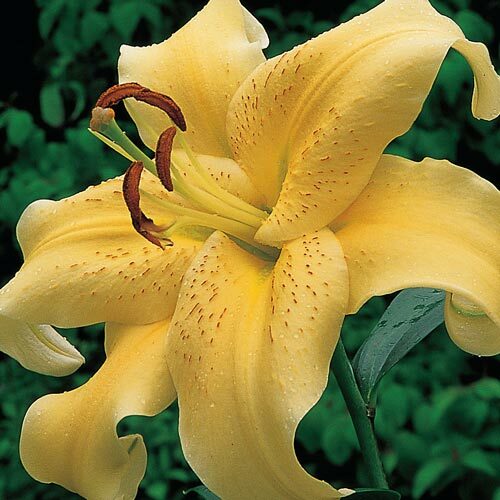 The Golden Star Gazer is the first yellow Oriental lily and its large fragrant flowers are exquisite. Oriental lilies bloom later in the season than most other lilies. 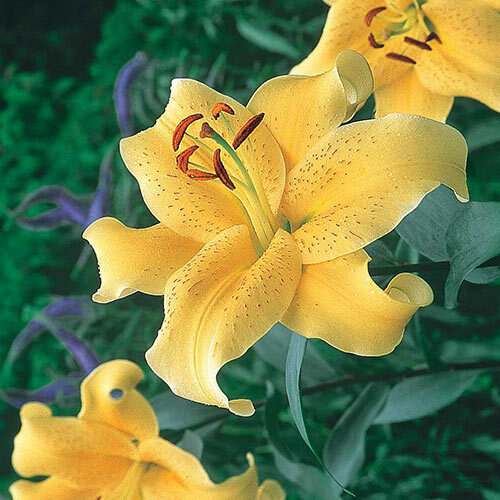 Over the past few years, the demand and interest in Oriental Lilies has grown dramatically. Golden Star Gazer adds warm color to borders and containers. Easy to grow, it prefers well-drained soil, but will tolerate heavier soils. Leave hardy bulbs in the ground for increased beauty in following years. Plant in full sun to partial shade. 16-18 cm bulbs.